Following the release of a new regulatory framework for crypto businesses and blockchain projects, major cities in South Korea have started to build regional policies to fuel the growth of cryptocurrency-related companies. This month, Oh Keo-don, the mayor of Busan, the second largest city in South Korea behind Seoul from the country’s ruling party, has stated that the regional government of Busan is focused on building the next “Crypto Valley” of the world in South Korea, inspired by the success of Zug, Switzerland. Mayor Oh emphasized that Zug already has more than 2,500 blockchain projects and produced over 11,000 blockchain-related job throughout the past two years, noting that Busan could create a vibrant cryptocurrency industry with friendly regulations and policies. Since mid-2017, the demand for cryptocurrencies from investors in the traditional finance market of South Korea has increased substantially, and the awareness of digital assets by the general population has improved significantly, primarily due to the resilience of major cryptocurrencies like Bitcoin and Ethereum. In December of last year, the demand and interest for cryptocurrencies peaked as the price of Bitcoin surpassed $20,000 in major markets like the US and $25,000 in South Korea. But, as the cryptocurrency market endured a 70 percent correction, digital assets earned a negative reputation as a risky and highly volatile asset class. Over time, most investors in South Korea gained more confidence in cryptocurrencies because of their ability to recover from a steep 75 percent decline and achieve stability at lower levels. Local financial authorities including the Financial Services Commission (FSC) also expressed their enthusiasm towards the newly found stability in the cryptocurrency market and the elimination of the Kimchi Premium in South Korean markets. “The government’s practical policies led the ‘Kimchi Premium’ to disappear in South Korea. At its peak, the ‘Kimchi Premium’ in the local cryptocurrency exchange market reached 50 percent, due to unusual spike in demand and speculation. As of current, the price of cryptocurrencies is nearly identical to other markets, demonstrating stability in the South Korean cryptocurrency market,” said Kim Yong-bum, the vice president of FSC. 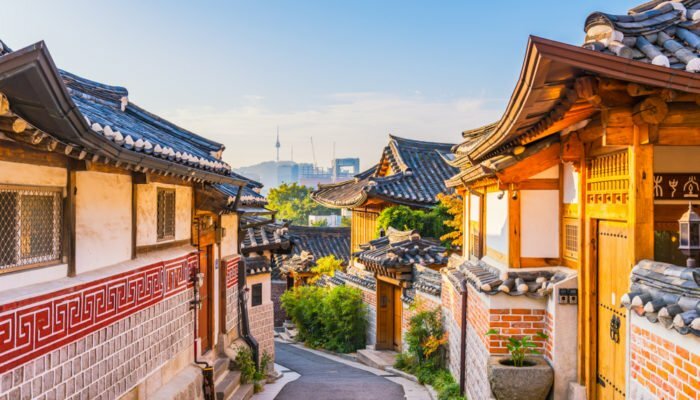 Sejong, a rapidly growing city in South Korea and an ambitious project by the government to create a highly advanced and sophisticated area for startups, is currently working on deploying a local cryptocurrency that will be used by the residents to process payments and be incentivized for providing personal information to the government. The Unesco-recognized island of Jeju, home to some of the country’s biggest technology conglomerates like NXC, the $12 billion gaming giant which recently acquired cryptocurrency exchange Korbit at a valuation of $150 million, is unique in that it has the authority to implement its own regulations and policies outside of the scope of the federal government. Earlier this month, the government of Jeju disclosed its plans to evolve into the next Malta, attracting cryptocurrency businesses and multi-billion dollar blockchain projects with friendly regulations. It also stated that the country’s initial coin offering (ICO) ban may be revoked within Jeju Island and local companies may be permitted to conduct token sales if they relocate to Jeju Island.